At the intervention centre at Skaraborg Hospital in Skövde, Ergonomic Lighting is used to create a good working environment. Better contact with the monitor, better image quality and clearer contrasts are some of the results. In 2012, Skaraborg Hospital in Skövde was expanded with a new intervention centre. As part of the building process, it was decided to install Ergonomic Lighting from Chromaviso. “It is a very pleasant light. We have operations and interventions about 12 hours a day, and therefore, the lighting solution is very important to us. Ergonomic Lighting has made a big difference. We are not as tired anymore”, says radiology nurse Gunilla Björck. The lighting solution has been developed to promote working environment, quality and safety. At Skaraborg Hospital, the lighting concept has given results. “I am in better contact with the monitor. I see the images better in Ergonomic Lighting, including with regard to contrasts”, explains cardiology specialist Jason Stewart. Precisely the better contrasts are one of the advantages of using red light behind the monitor, and the complementary colour green behind the intervention staff for x-rays. Coloured light reduces reflections on the monitors. 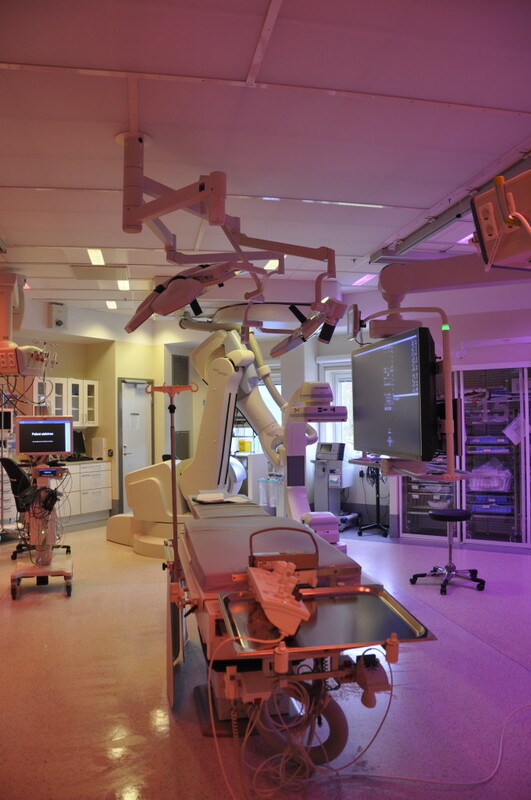 During an operation or intervention, the room is divided into coloured lighting zones that are adapted to the different work functions. For preparation and cleaning, a bright white light is used, simulating daylight, which supports the body’s circadian rhythm and promotes health. When the patient arrives to a room, a soothing, warm patient light is turned on. “It is a flexible lighting solution for before, during and after a procedure. We have different settings depending on which procedure we are carrying out and where the monitors are located. This means that we always have the light that is suitable for the procedure that we are carrying out. And when our requirements change, we can adjust the light”, explains Gunilla Björck. She also says that the light works well with regard to finding the right medicine and the right equipment. Ergonomic Lighting consists of the effective combination of light in the complementary colours red and green is developed by Chromaviso. Green light behind the monitor provides better contrasts/contours on the monitor and reduces strain on the eyes, while the red light minimises glare and reflections on the monitor and creates a balanced working environment and optimal lighting for the other staff in the room. Furthermore, anaesthesia has a white spot for optimising the view of the patient. This combination improves working environment and quality and increases patient safety. 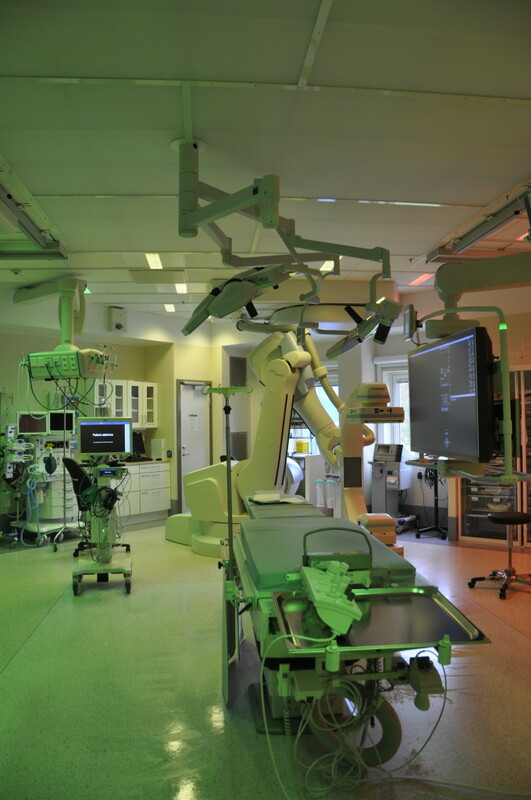 In addition to the lighting in the operating and intervention rooms, the ward has installed Ergonomic Lighting in four manoeuvre rooms for image diagnostics. 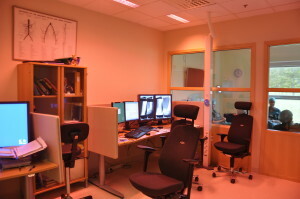 Here, red light is used behind the monitor and green behind the staff at the intervention table. The operation has been specially developed to ensure that it is easy for the staff to switch light settings. 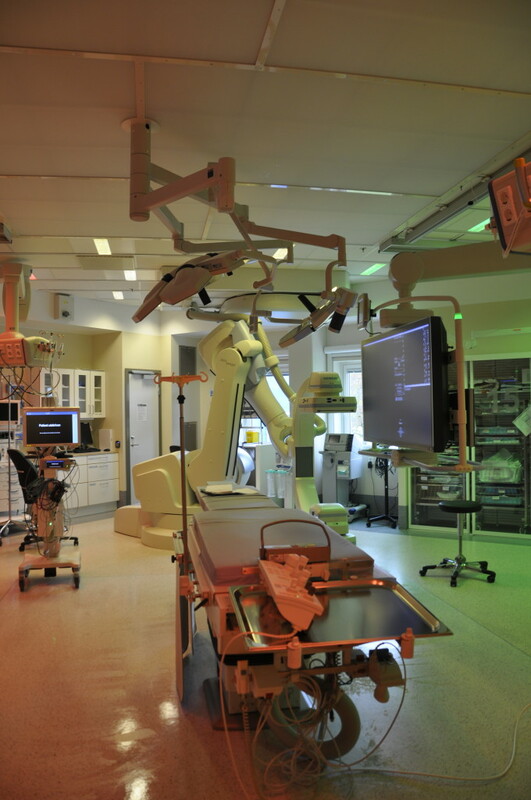 At the operating rooms, the staff can choose between a number of basic settings. All settings are chosen based on the ward’s requirements, working procedures and Chromaviso’s documented user behaviour from similar installations. This ensures a high level of usability and satisfaction among the staff. “The operation works very well. It is easy to switch and we use it several times a day. All in all, we have been very happy with the solution and with our cooperation with Chromaviso”, explains Gunilla Björck. 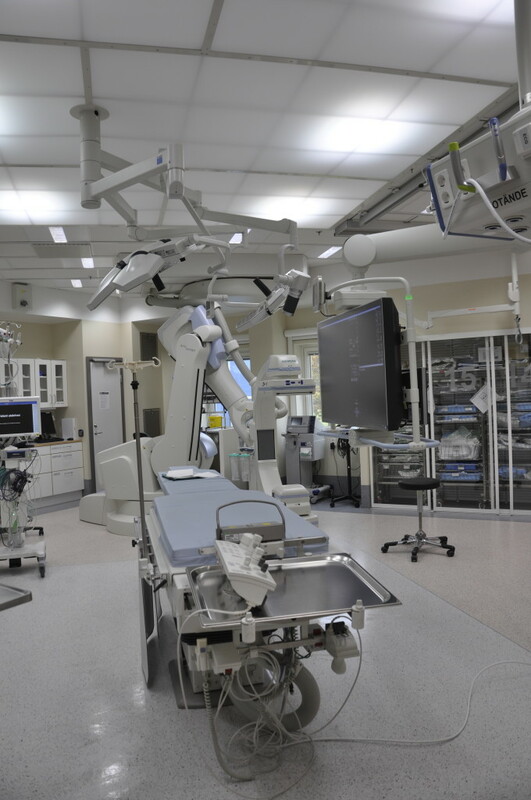 1 large hybrid room, 1 ablation room, 1 PCI room, 2 operating rooms and 4 manoeuvre rooms and 3 description stations with Ergonomic Lighting.